When Elad Leshem graduated with an MBA two years ago, he immediately started a company. So far, so conventional. But Leshem, a now-33-year-old Israeli, launched his entrepreneurial career in Berlin. It’s no surprise that Israel, with its around 4,800 startups at any given time, sees some of its entrepreneurs try their skills elsewhere. As far as Leshem, Moses and their fellow entrepreneurs are concerned, choosing Berlin is simply a matter of business opportunities and cost of living the same way it is for budding entrepreneurs of many nationalities. Leading venture capital firms like Sequoia and Kleiner Perkins have recently invested in Berlin startups, and Soundcloud, the popular music-sharing service founded by two Swedes, is also based here. Among the Berlin-based creations are: InFarm, which allows people to grow micro vegetables indoors; Capsuling Me, which measures and monetises fan engagement; and Screemo, which sets up interaction platforms between audience mobiles and large screens. Berlin’s grants and subsidies to entrepreneurs form part of a deliberate strategy to position the city as an attractive business alternative to other European capitals and indeed to -Germany’s own business capital, Frankfurt. The effort makes sense for this relatively poor metropolis with a GDP per capita of €29,300 compared to London’s €48,500, as startups require relatively little investment and the city already boasts a young workforce. Israel, for its part, keeps producing talented would-be entrepreneurs. The German-Israeli Chamber of Commerce has spotted the trend as well, recently launching an initiative called Betatec (Berlin Tel Aviv Technology and Entrepreneurship Committee). The programme will help Israelis start companies in Berlin but also send German entrepreneurs to Israeli incubators, where they’ll receive mentoring. “The idea is that this will help the German economy, but indirectly it will help the Israeli economy as well”, explains Mickey Steiner, Betatec’s director and the former Israel CEO of German software giant SAP. To further increase Berlin’s attractiveness, Betatec will also offer localisation services to Israeli firms to help them expand more easily in Germany and beyond. Entrepreneurs are not the only Israelis -moving to Berlin, either: plenty of artists and scientists are putting down roots in the city as well. The city now features several Israeli restaurants, even a German-language Israeli online magazine. And Daniel Barenboim, the celebrated pianist and conductor who was born in Argentina but also holds Israeli citizenship, is music director of the Staatsoper, Berlin’s -leading opera house. 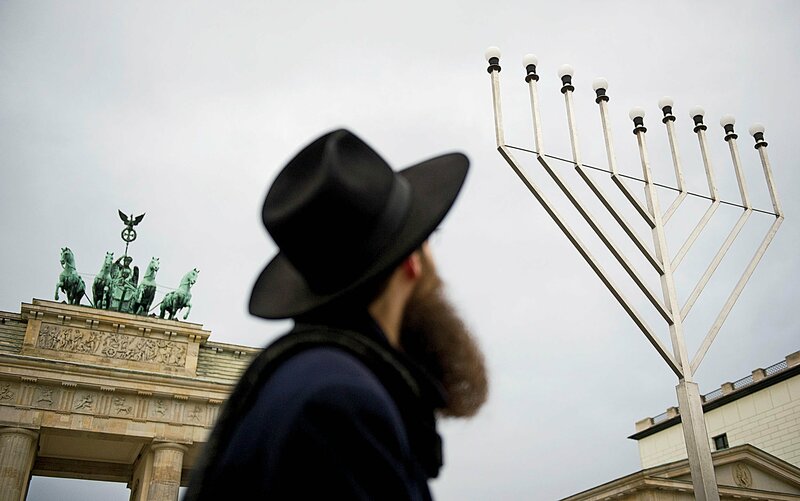 According to one popular estimate, 40,000 Israelis live in the German capital, though in truth nobody knows. Yet the combination of Israeli entrepreneurship and Germany’s market and infrastructure holds particular promise. Hadas-Handelsman, noting that it takes less time to fly from Berlin to Tel Aviv than from New York to San Francisco, predicts an ever-growing business exchange between the two cities. Other entrepreneurs point out that the city’s incubators aren’t (yet) at the same level as, for example, San Francisco-based Y Combinator, which spawned AirBnb. But Israeli engineers with no immediate plans to start their own companies need not bother learning the language, he advises: “There’s such a shortage of engineers here that you’ll get a job the day after you land.” According to a recent survey by the Institut der deutschen Wirtschaft, 31-60% of German companies have trouble finding qualified workers, and 51% of the shortage professions are engineering-related. That shortage, of course, affects startups as well. So does the city’s rising costs, especially its rents, which rose by 2.6% last year. Still, the average rent per square meter is less than €6, a bargain compared to the current €44-88 per square meter range in central London. And for all its groovy-ness, Berlin will never be just another London or Silicon Valley. So it is that next year, which marks the 50th anniversary of German-Israeli diplomatic relations and will be celebrated in appropriately ceremonial ways, may generate even more interest in the bilateral startup exchange. “If we can get 15-20 German startups to Israel next year, and the same number of Israeli startups to open in Berlin, we’ll consider it a success”, says Steiner. History has, in fact, come full circle: Leshem’s mother is in the process of buying an apartment in Berlin. She’ll join her son and his fellow Israelis – and thousands of Jews from Central and Eastern Europe – in a city that once had 170,000-strong Jewish community.